Astana left plenty to talk about. The 2016 edition of the Greco Asian Olympic Games Qualifier put a spotlight on a few Olympic favorites while also bringing up new questions about past stars. We saw a big upset to kick things off, a couple of dominant performances, a little controversy, and another upset. Not too bad, all things considered. 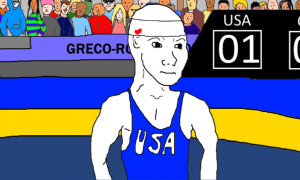 Qualifying weights for the Olympics is always big Greco Roman wrestling news. This past weekend proved that. Big props to Shinobu Ota (JPN) for getting past Iranian superstar Hamid Soryan in the 59 kg qualification round. Ota made good on the upset, too, advancing through the bracket to the final, where he fell to Lumin Wang (CHN). Ota’s teammate, 66 kg stud Tomohiro Inoue, made some news in his own right. Just like Ota, Inoue himself defeated an Iranian Olympic champ, downing the always-tough Omid Haji Noroozi in the final to capture gold. Hyenwoo Kim (KOR, world no. 3) looked strong and composed as he dispatched Bin Yang (CHN, world no. 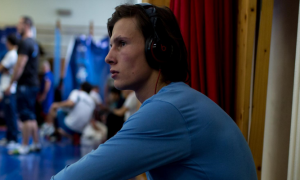 14) in the semifinal before dominating Dilshodjon Turdiev to pick up the tournament victory at 75 kg. Xiao Di (CHN, world no. 5) picked up where he left off at the Hungarian Grand Prix, qualifying the 98 kg class where he was unopposed in the final, as Hardeep Hardeep (IND) chose not to wrestle for gold. Nurmakhan Tinaliev (world no. 13) constantly had the home crowd on its feet as he marched through his bracket. The Kazak toughguy had to get past Quien Mang (world no. 8) to qualify the weight, which he did via a 4-1 score. In the non-Greco department, we have this past weekend’s NCAA Division 1 tournament to consider. …Everyone in the states is still buzzing about Kyle Snyder’s NCAA title. The Ohio State wunderkind had a fair amount of pressure on him entering into the tournament, naturally. But it couldn’t have been more pressurized than what Nick Gwiazdowski was going through. Either way, it was a heavyweight national final to remember, which to be honest, is pretty rare. Those two looked like 33 pounders as they moved all over the mat. …Nashon Garrett is fast. Like really, really fast. 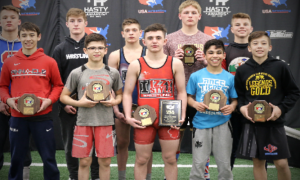 …It is approaching the end of March, which means soon enough age-group wrestlers will be gearing up for the summer season and the Fargo nationals. 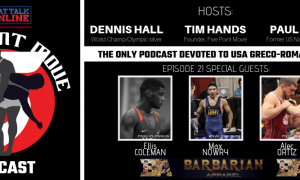 Wrestlers from all over have different ways they gear up for the post-folkstyle side of things but either way, prepping for Fargo is always important. 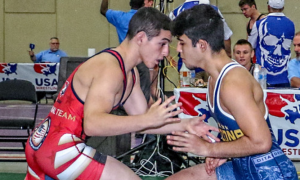 …There are some serious challenges ahead for certain members of the US Greco team. We learned that coming out of the Euros and that idea was further stamped by what went on in Kazakhstan. If there is one thing you can breathe easy over, it’s that whomever comes out of the trials is going to be prepared. We will further break down action from the Asian OG Qualifier and look ahead to where this leads some of the notable names who failed to secure their country’s spots for Rio. Also, we will have interviews with Dennis Hall and Matt Ghaffari, who were teammates on the 1996 Atlanta squad. 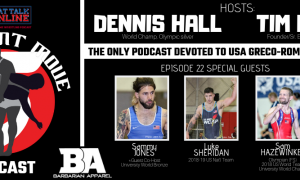 Hall, as you might know, has stayed active in Greco Roman wrestling through coaching and clinics, as the Wisconsin native operates a very successful wrestling school in his home state (when he’s not traveling or working with World Team members). 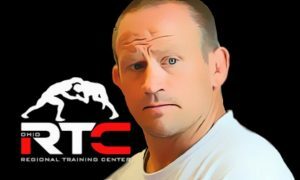 He is also getting ready to launch his Core Program, a training curriculum beneficial to both athletes and weekend warriors. Stay tuned for that one. Ghaffari’s story is a little different. The Persian-born citizen didn’t have the easiest time post-wrestling getting his career started, so in order to rectify that he went out and earned an MBA. His is an inspirational tale you won’t want to miss. Plus, we’ll get his thoughts on where the sport is at today and other Greco Roman wrestling news.